AMG GT Black Series for sale on Autotrader...??? This is one cobbled up listing. How can this guy think this is Black Series. Just sharing is all. This car is basically brand new with all upgrades and it s a special Black Series Edition. It has an emblem saying so? Of course I have seen people put the M5 emblem on a 535 and think they are fooling others. That's what's great about Ferrari, shield or not, it's easy to see it's a Ferrari. Car is also deceptively listed as a 2018 GTR as well. Anyone in the market for a car like that would not be fooled. People putting fake badges on cars is to merely impress the layman. I remember people taking a Fiero and turning it into a "kit car" Ferrari back in the 80's - lol. Those were so bad. I doubt you could even fool a layman. LOL! That's funny, I never saw one but I can believe it. "most expensive exterior paint job (Selenite Grey),"
Reminds me of when I bumped into a dude at a gas station in the 80's. Driving a Buick with Caddy emblems all over it. It looked ridiculous. I asked, "Are you sure this is a Cadillac?" and he insisted it was. He missed the Buick emblem in the chrome around the taillights. His listing title is AMG GTR as well as the knock off Amazon Black Series Edition label. 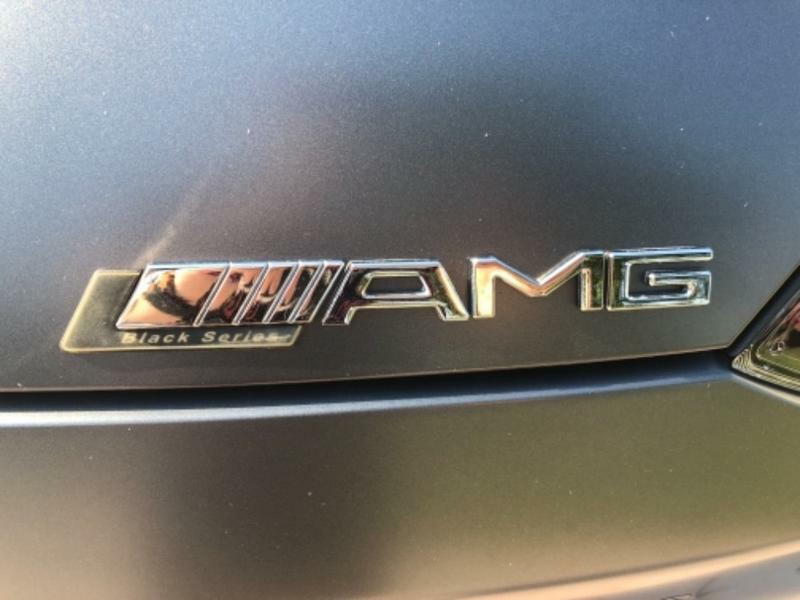 It says "Black Series" under the AMG so it must be official. From the tone of the ad, sounds like there might be a chance the owner might have been fooled when he bought the car from original owner. I have no proof but it’s my gut feeling. Poor guy if that’s true. It’s not nice to tease people. He listed it as a AMG GTR in the listing title and bought the Black Series Edition stick on EBay. He’s clearly scamming the customers. 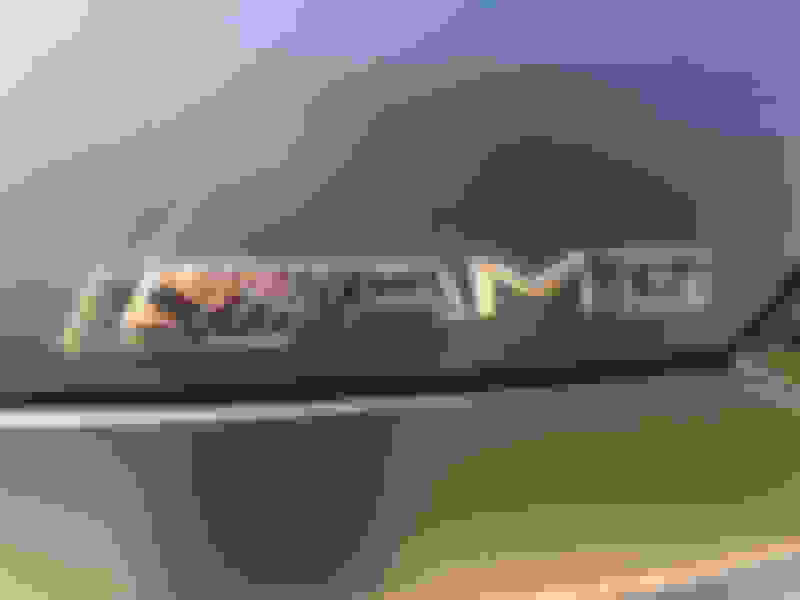 Last edited by JSwan724; 01-26-2019 at 09:41 PM. Either way, he’s not bright. This is the cheapest GTR in the world right now and I’m sure he has so many interested buyers! The seller has modified his listing. Now it's a GTS. And it's definitely a Black Series because it has a badge that says so! SERIOUS BUYERS ONLY. *I updated the Trim to S. Autotrader only allows me to pick from GTC, GTR, or GTS. * This car is a 2018 Mercedes Benz GT Roadster Black Edition. It has nothing to do with the 2020 Mercedes GTR Black Edition (which is also not a convertible). I am the second owner of this $140,000 vehicle. I bought it for $116,500 (3,400 mi) at a huge discount of $5,500. It has semi-autonomous driving (lane assist, auto stop, distronic driving), most expensive exterior paint job (Selenite Grey), and most expensive black rims Mercedes offers. I only drove it 10-15 times for about 50 miles or less. I will raise this price in a few weeks. It is only this low at the moment, so I can reinvest in something that is time sensitive. The price will rise in 2-3 weeks back to $110,000. This car is basically brand new with all upgrades, and I bought it from a Lamborghini dealership. Unfortunately they didn t explain to me the difference between a GT Roadster regular and Black Edition. There has been a lot of confusion/criticism about the Black Edition part of this ad. On the back of the car, clear as day, it has a Black Edition AMG badge. The dealership didn t go into detail as to what that means, but I am not false advertising the vehicle as something it s not. I am only going by a badge that was put on the vehicle by what I would assume is the manufacturer. This car does have the Black mirrors, front diffuser + lip, and rear diffuser. It also includes just about every upgrade I have seen Mercedes advertise for the Mercedes GT Roadster. This vehicle is still not as expensive or as luxurious as the Mercedes GTC edition, but in my opinion is the nicest GT Amg Roadster Edition I ve seen. The convertible top goes back at speeds of up to 35 mph. If you have any other questions please contact me. I stick to my initial impression that this dude got duped by the salesperson. He’s a dufus, poor guy. I am sure you would agree that all he has to do is contact any Mercedes dealer to confirm what we have been saying. Then he can take his fingernail and gently remove the EBay/Amazon Black Series Edition stick on logo and modify his listing. Last edited by JSwan724; 01-30-2019 at 02:05 PM. These emblems don't come cheap on eBay. However, they are far less than the car. 104 is a hell of a deal, someone better jump on this! Black mirrors, etc. must be the Black Series. Is anyone else puzzled by the sales strategy? Let's see if I understand ... If it doesn't sell right away at the "discounted" price, raise the price. OK, got it. trying to create urgency lol. Electronic rear diff lock inoperative ?? Quick Reply: AMG GT Black Series for sale on Autotrader...?? ?